Team up and create artwork together. 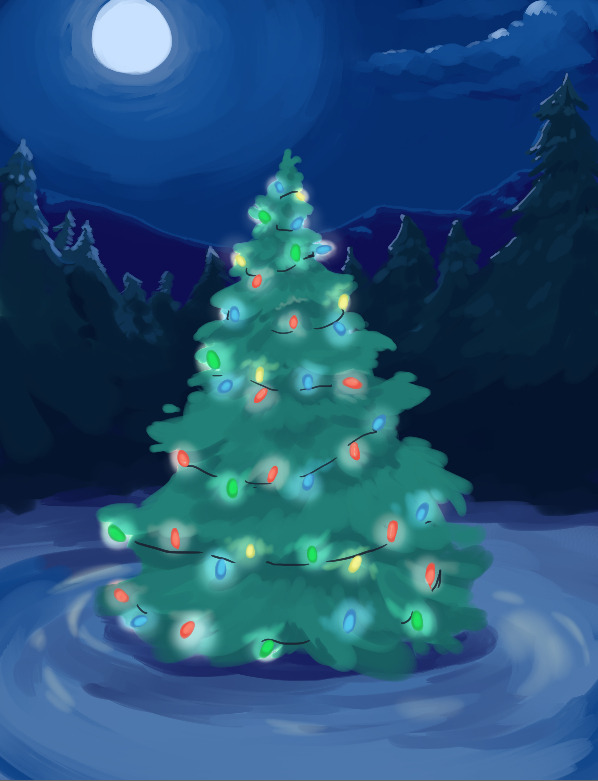 There is currently a Christmas Collaboration picture up on drawpile in the sytheticdreams server. It's easy to find for it is called "MangaMasters Christmas Collab"
Anywho... I'm very late on this project but I still hope people can join, it's the 2016 Christmas Collaboration Picture! Every year (well for as long as I've been here where has been only like.... 2-3 years hah....), manga masters holds a traditional collaboration at this time so I'd like to keep that tradition going! This years image is this! You can add your oc's, decorate the tree, add some silly presents, throw a festive ship in the sky or whatever. Let your imagination flow and have fun! Thanks in advance for anyone who's participated and I'll be continuously updating on what the picture looks like in the comments bellow. Merry Christmas!